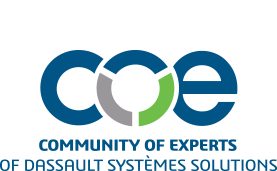 Renew your COE membership and get access to the collective knowledge, influence and insights of thousands of other Dassault Systèmes PLM solutions users from around the world. Allow COE to be your support system with enhanced member benefits for 2013. A roundtable discussion of the 'good and the bad' surrounding implementation of ENOVIA V6 in support of CATIA (both V5 and V6). This session will have ENOVIA V6 experts from various realms of companies including helicopters, suppliers and automobiles.